This week was DEFINITELY not my favorite. I've been walking around in a fog since Tuesday. I knew our time was limited but I really didn't think we would have to say a final goodbye to our horse this quickly. I am emotionally and physically drained. I had to return the following day for the very expensive removal and seeing him like that was awful. As I drove away from the stable, it hit me that it would be the last time I ever go there and that I would never see Cherokee again. His halter is now hanging on our wall instead of on him, where it should be. Every time I spot it, the tears start again. We are enjoying such a beautiful Fall in Pittsburgh. It has been so warm up until this past week. Lately, the mornings have been below freezing, but it warms up during the day. We've been spending so much time outside while we can! Today, it's supposed to be over 70! We usually have a homemade Thankful Tree, but this year I picked up one in the Target Dollar Spot. If it saves me time, I'm game! It's really cute and I love to read what the kids write on their leaves. It's a great reminder that despite the frustrating moments, they are REALLY good kids! 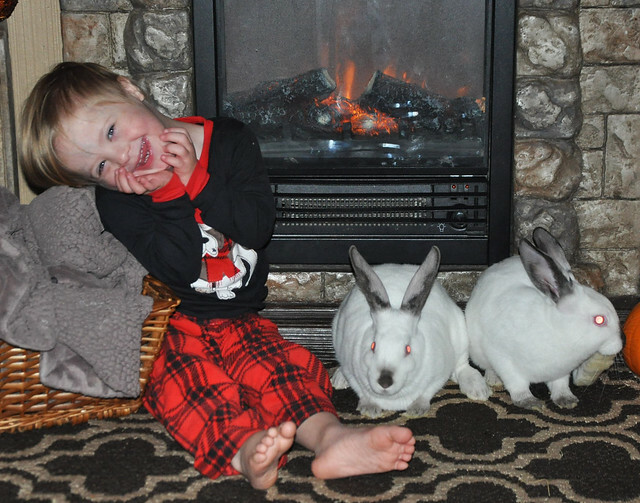 As much as I don't want it to be true, we are now down to just two bunnies and a hermit crab for pets. Arctic and Bernie are really awesome, though. 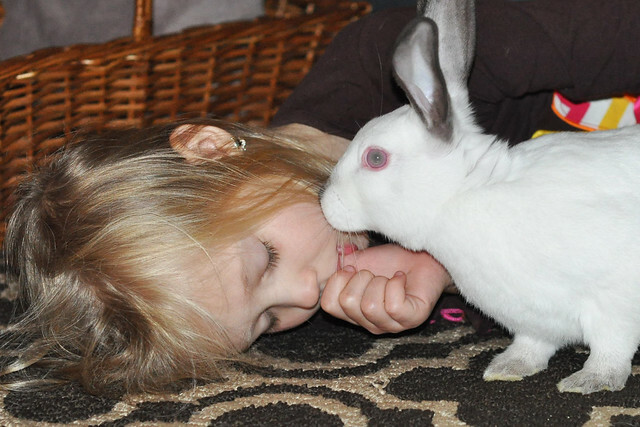 Most people don't think of bunnies as being great house pets, but they really are! I woke up on Wednesday morning with eyes nearly swollen shut from crying all night and a feeling of emptiness. 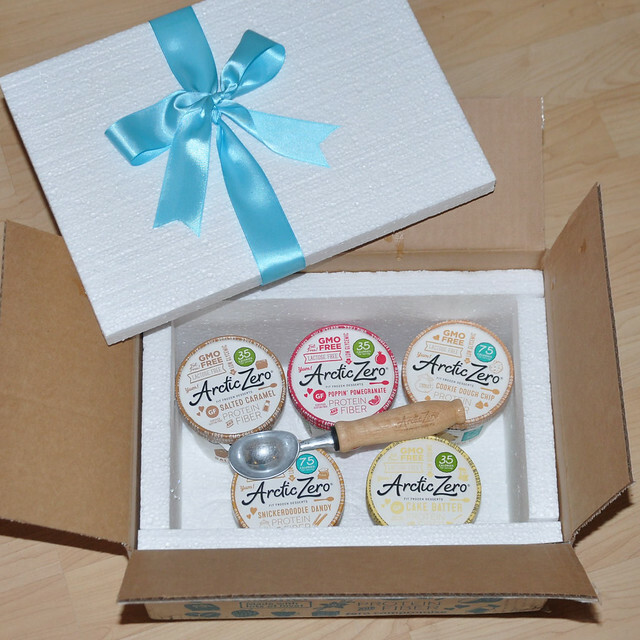 A sweet gift from Arctic Zero showed up on my doorstep and brought me a bit of cheer! I'm a big fan of guilt-free stress eating and the flavors are AMAZING! This is the last picture I took of my girls with Cherokee, a little over a week ago. We had no idea that it would be their final goodbye. I'm so thankful for this picture and for the happy memories from that visit. I'll admit it. 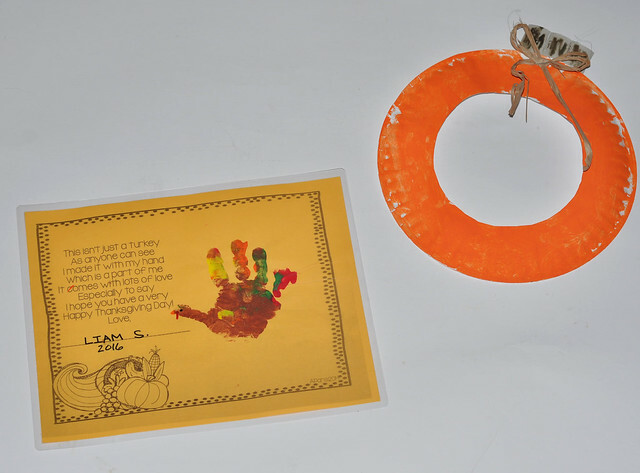 I'm a sucker for keepsakes that my kids make at school. 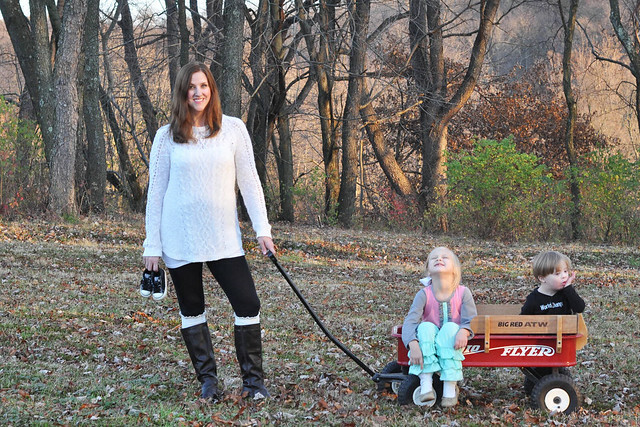 With four kids, I have a ton of stuff, but I don't care! Liam is now bringing home the cutest crafts and I truly can't believe he's already old enough for this! 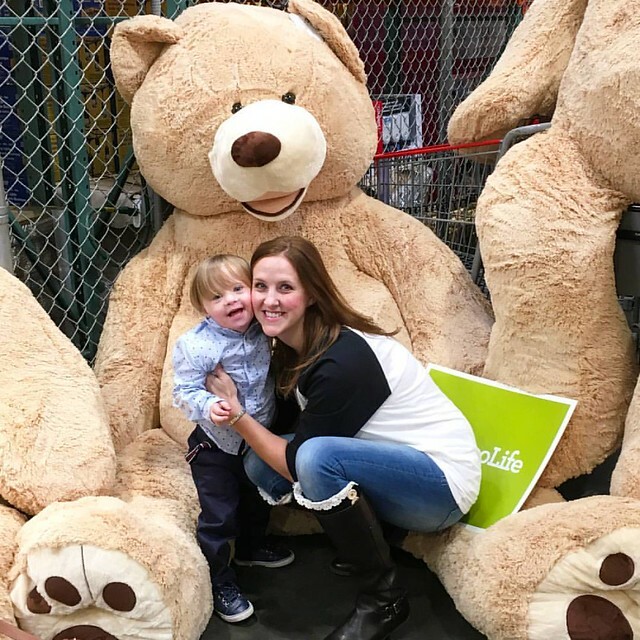 Two weeks ago, Liam and I headed to our local Costco to meetup with my fellow Pittsburgh Moms Blog team for Costco Mom Hour. It was so much fun! After handing out swag bags, I got to reconnect with an old friend and meet a new friend who has a baby who is rocking an extra chromosome like Liam! Adventures in grocery shopping with Liam: Two lost shoes (later followed by socks), 1 pasta sauce tossed from the cart and multiple conversations with elderly women. I completely understand why Lily chooses to go to grocery store childcare instead! 😂 At least we have the @coveredgoods cover to keep him safe from germs and a tote bag from @shedolane (check out this new line of UV protective clothing) & @swimzip full of distractions! I was so excited to see my favorite creamer back in the stores. This time of year is really the only time I get excited about coffee. And thanks to my new Starbucks travel mug that Grant's sweet friend gave to me, my drink stays hot for over four hours. I'm not even kidding. The mug really is that good! 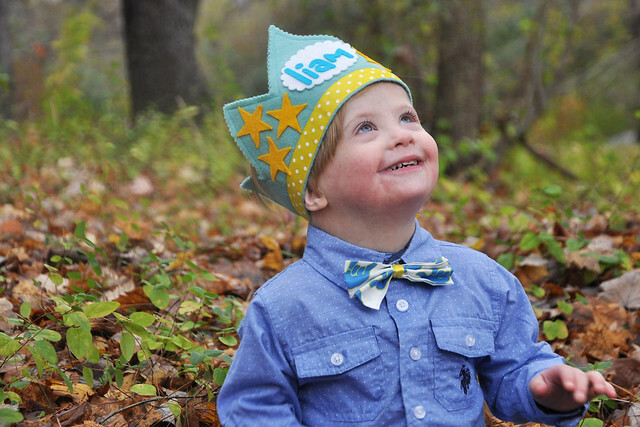 Liam received the sweetest gift from Mosey Handmade! Their crowns are so beautiful! While you're doing your Black Friday shopping this year, don't forget to shop small! 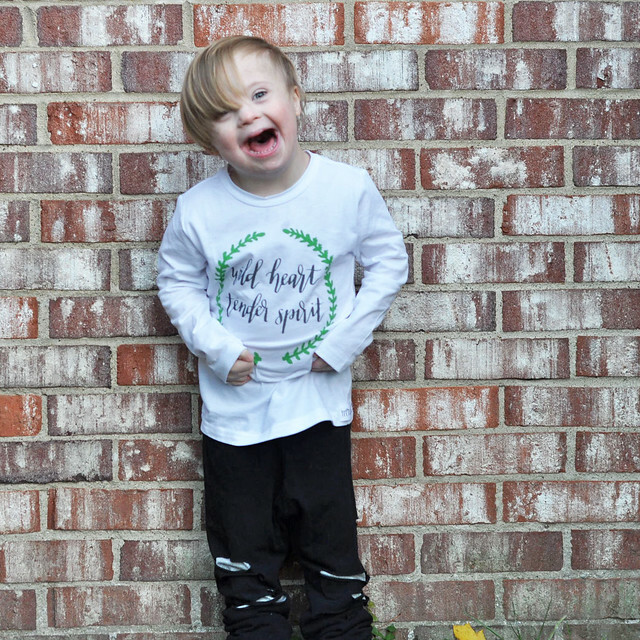 Trendy Bubs has some really cute stuff and you can save 20% at checkout using the code liamff (excluding sale and custom name items). This shirt is perfect for my little dude! Another favorite is The Hair Bow Company. 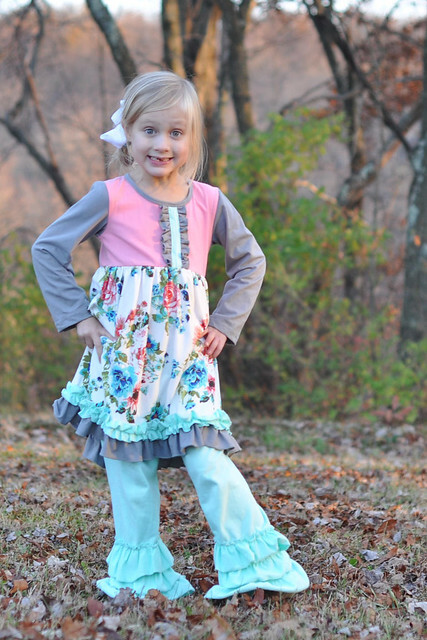 I buy most of Lily's clothes from them, including this adorable recent find! I captured numerous pictures of Lily smiling brightly, but THIS photo captured my attention. Grant thought she looked just like young Cosette from Les Miserables! One of my main goals as a mother is to raise children who are kind, loving, compassionate and generous. I want my children to know that even though we may not have as much as others, we still have PLENTY to give! We make giving back a priority year round, but there are definitely more opportunities to do so during the months of November and December. 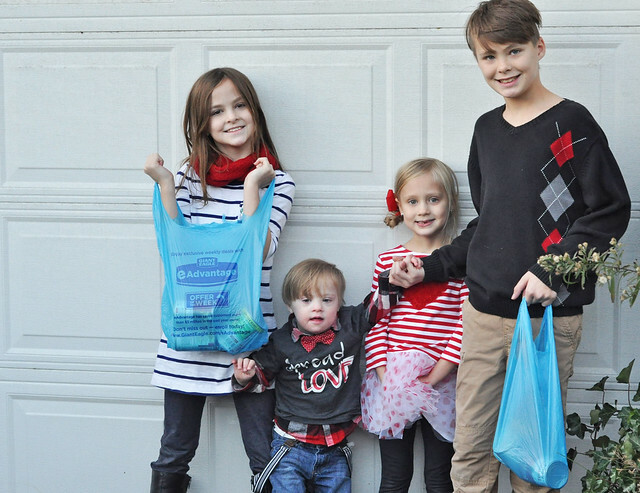 I shared a list of 20 ways your family can give back this holiday season on Pittsburgh Mom's Blog. You can read it HERE! I can't believe that Thanksgiving is less than a week away! What do you have planned for the holiday? Girl you are one busy momma. Goodness! Love that photo of the girls and Cherokee. Such a great one and the photo of Lily is absolutely gorgeous. Wow! I want that tree from target but I haven't been able to find it! 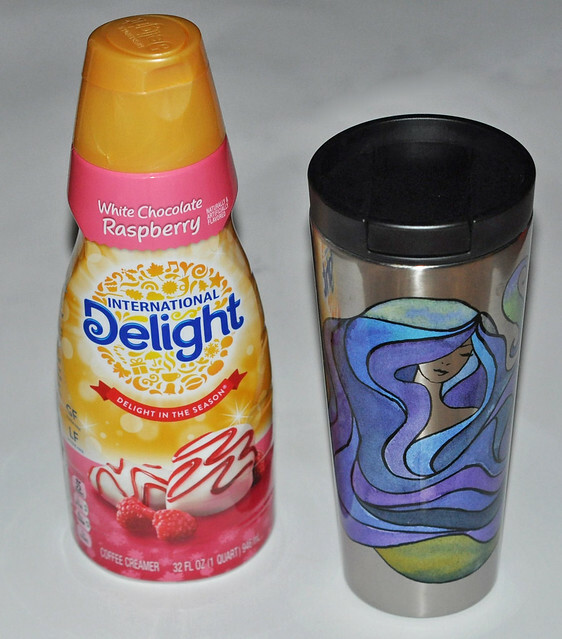 Love your new travel mug! I'm still thinking of you, Stef. I can't imagine how rough this week has been for you, but I hope that you can find some peace soon. We got that tree, too. Thinking of you, my friend! So sorry to hear about Cherokee, and the rest of your rough, hectic week. 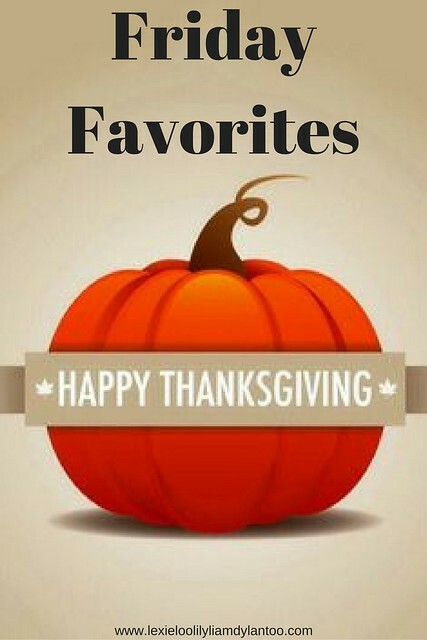 I'm glad you found some favorites to cheer you up this week!!! Have a fabulous weekend momma! I am so so sorry about Cherokee. 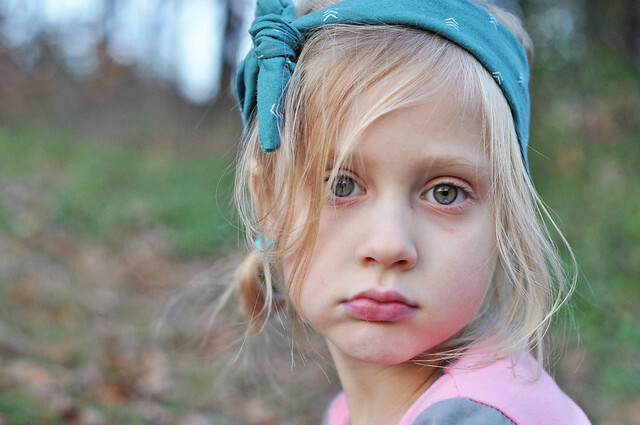 The one good things about having kids is that they can help take your mind off sadness,but I know it still hurts. I love that Thankful tree, I wonder if my Target still has it! I grew up in the North Hills of Pittsburgh and graduated from Pine-Richland HS! Love Pittsburgh. I am so sorry for your loss, furry family members dig deep into our heart. May your memories bring you sweet joy always! Nice to meet you! So sorry about the loss of Cherokee. That's such a sweet picture of the girls with him though. You'll always have those memories. You have so much to be thankful for this year! Love that thankful tree. I have never heard of that before! I love all of this! 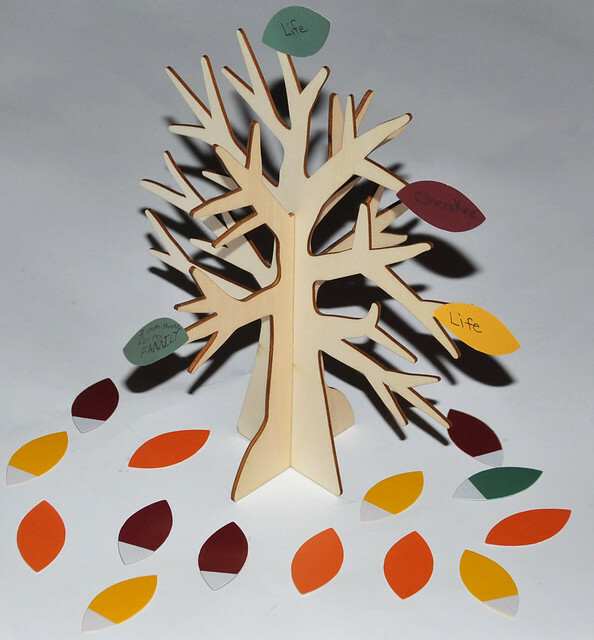 The Thankful tree is such a great reminder! You have such a beautiful family full of the prettiest little smiles! I have been thinking about you a lot this past week friend :(. I am glad that even in a rough week, you found some bright spots. That last picture of Lily is PERFECTION too. With all you had going on, I know that Cherokee was such a huge loss. I hope the many years you two had together ease the pain a bit. I am so sorry that you lost your sweet horse. That is devastating and I am sure your heart is hurting. On the brighter side, that photo of your kids with the horse is beautiful!